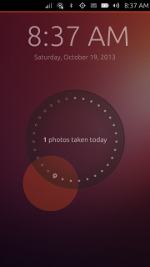 Ubuntu has finally released stable Ubuntu Touch for Galaxy Nexus and Nexus 4. 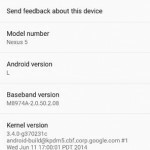 Nexus 4 is newer and faster device capable of handling ubuntu os, but galaxy nexus has started to show its age. The Installation was snap, but the OS was too slow to be usuable. 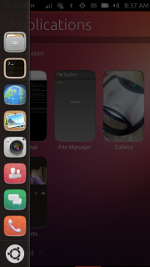 This will deploy the latest build onto your device, after which your device will boot into the Ubuntu Unity shell. Can take 1-2 hours. Note: If you can’t access SSH and get connection refused, you will need to install and start ssh. After the device booted up (galaxyNexus) I was greeted with ubuntu LockScreen so far so good. I began to just look around the OS and I noticed a really laggy operating system :(. The response was really slow too painful to be used. There is no app to take a screenshot as for now, here is what I did. Connect the phone to the desktop via adb/ssh. I used adb.